Before we left the mall, our attention was caught by this colorful signage. A selfie studio? Why the need for a studio? Selfies can be taken anytime and everywhere. Our curiosity led us to check out what is it about the studio. And before we knew it, we became their last customers for that day. In a nutshell, Click Selfie offers "photography services without the photographer." True to the concept of selfies, the clients themselves become the photographers. The studio offers rooms equipped with a mounted DSLR camera, LCD TV that provides the camera preview and a remote control that serves as the clicker. 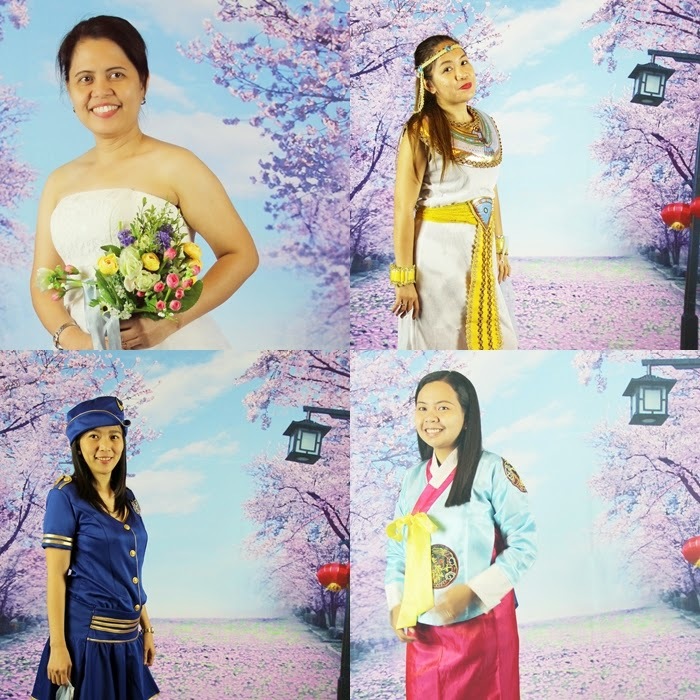 Clients can choose the duration of the pictorial session that ranges from 15 mins to 1 hour. Despite the limited duration though, clients are free to take unlimited number of photos or selfies. The more important question is the price of Click Selfie's services. I failed to take a photo of their price list. In our case, we paid Php 130 per head for a session that lasted for 15 mins. The payment is inclusive of the electronic copy of the photos and a few print outs. This is the best thing I appreciate about Click Selfie, clients are given the raw jpg files. And since the studio uses a Canon DSLR, pictures appear with high and clear resolution. Note: I added some filters to the photos uploaded. The pricing of the studio is dependent on the duration of the session and the number of heads. Although personally, I believe that the studio is best only for a group of three persons. The mounted camera can only capture portrait shots. No opportunities for wide or landscape angles. Likewise, the limited size of the studio provides a little challenge to fit four people in a fixed angle shot. Despite the minor constraints, I highly recommend Click Selfie's services. 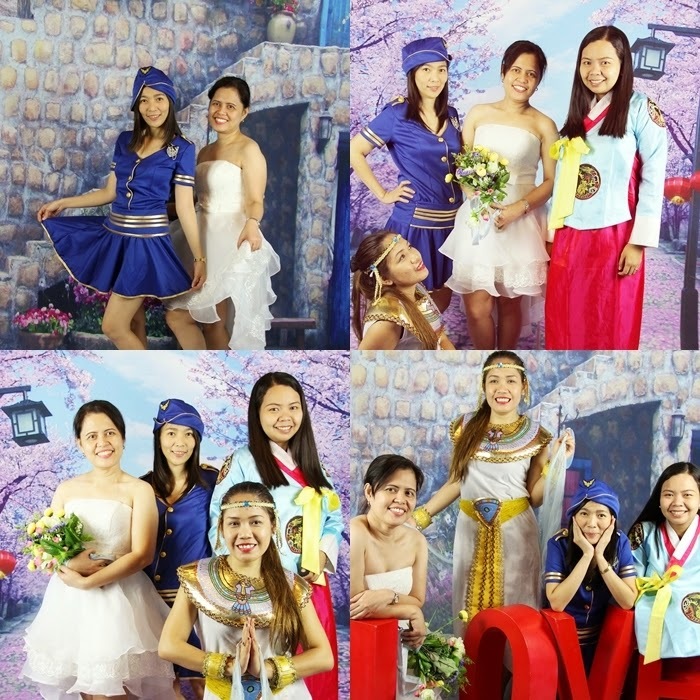 More than the photos, everyone will surely have a great time during the session. True to the owner's claim, everyone is leaving the studio with big smiles on their faces. I didn't regret the fact that I was left by the train's last trip. The staff of the studio are very accommodating too. They accepted us even when it's almost closing time. I can say that this is one of best Php 130 I spent. 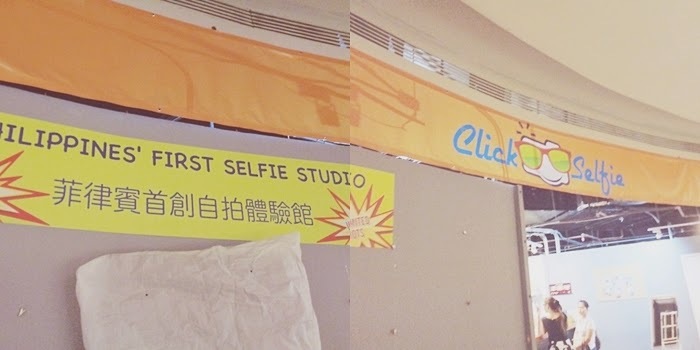 As of date, Click Selfie maintains one branch in SM Manila. Click here for more information about Click Selfie. P.S. This is not a sponsored post. Awww, you look so cute in your hanbok. That concept has yet to find its way to Cebuano shores pero am sure papatok din ang Click Selfie dito. The Selfie Studio sounds like a great concept and lots and lots of fun!